This is the last blog of my General Election posts. Although it’s taken up a lot of my time writing them and my revisions been slightly pushed I have enjoyed doing them very much. The response has been great! This is a topic that I’ve blogged about quite a lot in the past but that’s because I think it’s a really important issue. What first provoked me to get interested in this issue is the fact that everyday I go to school and I’m surrounded by kids that have no idea of the natural world around them. I’m not expecting them to become experts but when they have no idea about how it benefits us in a number of ways it’s quite distressing. Instead they abuse it, take it for granted, don’t appreciate or understand it. As I’ve explained in previous blogs nature is very important, it does a number of things for us humans. For example it provides clean water, stops erosion, pollinates crops and much more. It’s also a fantastic and very enjoyable wonder. Some of the causes to why our wildlife is declining include the intensification of farming, this includes no areas left for nature and the use of dangerous pesticides and chemicals. Also the loss of meadows, hedgerows, and ponds. As well as the building development, cutting down trees faster then they can re-grow, harvesting more fish than the oceans can re-stock, and emitting more carbon than oceans and forests can absorb. These are just a few reason why our wildlife is declining here in the UK and on a world wide scale. There are many other reasons too, some on a much smaller scale. For example the idea of people tarmacking their garden or not having holes in the fence where hedgehogs can come in. As you can see the problem is getting worse, our wildlife has declined dramatically over the past few decades and you can read more about this on the State of Nature report. On some articles I’ve recently read they have said things like decline and extinction of species can lead to ’empty landscapes’, just imagine how awful that would be! Even though lots of charities and organisations are doing fantastic jobs with the public’s backing, there is still work to be done. For example educating people. Well obviously there are lots of other things that we can do to reverse this decline but one that I think is a major factor is through educating people, especially younger people and children. Therefore I decided to choose it as a topic as part of my General Election posts. Where to start, why is education important? Well that’s a difficult question to break down as all in all, it’s vital! Whilst at school some of the more interesting and important things that we learn tend to stick with us, or the idea behind it. Also when educated it opens us up, we want to learn more about that subject and it makes us more interested. Therefore education is a way forward. 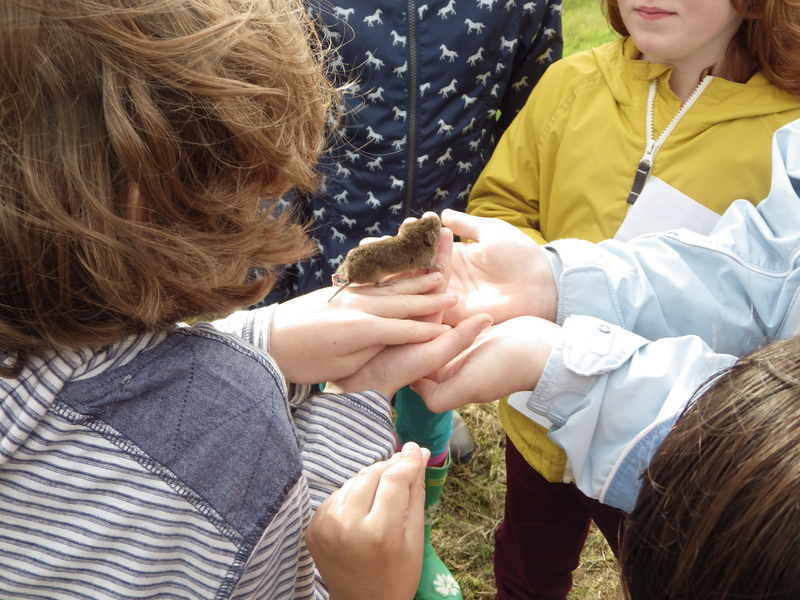 If a child was to grow up with gadgets and have no real experiences of the natural world around them then when they went to school and they are introduced to the wonders of the natural world just imagine how fascinated they’d be! Not only would it be a first but as a young child budding to find out what the world is about their curiosity could go on and on. I’m 16 and every time I go out whether it be on a walk on my local patch after school, setting my trail camera up or going out with my camera at the weekend there is never a time I’d either be willing to come home or come home regretting I ever went out. Not only would this get the child interested but it would bring their imagination to life and the enjoyment of it all could make them very happy too. Then as the child grows up they’re introduced to different aspects, without a doubt when they’re older they’ll remember these experiences and be willing to share them with their own children or pass the memories and experiences on. Overall, we all know nowadays that there’s more gadgets about and lots more opportunities etc so children don’t get the joy of going outdoors and enjoying nature for what it is but with this extra push whilst they’re at school that could trigger the enthusiasm off. First of all, as I mentioned before, it is teaching and showing the child to go and explore. With this they’ll learn to appreciate what it’s all about and respect it. If they do this then they’ll pass it on to their friends and their own children in the future. Respecting and enjoying the outdoors could become ‘cool’ and they’ll begin to learn if they respect nature then they need to do other things too. For example basic things like using less energy, water and not dropping litter along with recognising a wildlife crime and sticking up for what they belief in for the environment. A few weeks back I did a blog for the group A Focus On Nature where I spoke again about why we need to inspire the next generation. You can read it here. After writing my post I emailed it round to all of my local candidates for their reply and take on inspiring the next generation. I was very pleased to have a reply from all of them, but unfortunately not from the UKIP candidate. Labour (Chris Worsey) – he replied by saying that my blog was on a much needed subject and agreed with the fact that children need to be out and about more enjoying the natural world. He said how some of his childhood memories include exploring the outdoors – much better then being sat in front of a computer screen! Conservative (Michael Fabricant) – I didn’t get as much as a reply from this candidate but he did say that if he is re-elected that he’d be willing and happy to take the issue further, especially on educating people about local wildlife. Liberal Democrats (Paul Ray) – He agreed with my idea of that natural habitats need to protected. He also sent me some information about the parties record of delivery on this subject and what they promise to do more of in the future. This included ‘putting nature at the heart of the Government’, access to nature and, safeguarding forests and planting more trees. Greens (Robert Pass) – He agreed with the post and made the point of “We need many more young people to engage with the natural world and with the fight to save it.” He also made the point about more and more people are waking up and realising that a lot of this technology ‘progress’ wasn’t progress at all and are busy rediscovering the wisdom of stewardship and respect for the living earth. As well as this he attached an article called ‘Rewild the Child’ which was a great read. It was great to be able to get a reply from some of my local party candidates, of which I am very thankful for. Previous PostGE2015 Day Five: Wildlife CrimeNext PostWhat now?